Global Youth Service Day (GYSD) is the largest youth service event in the world and the only one to celebrate the contributions children and youth make 365 days of the year!​ The annual event celebrates and mobilizes millions of young people who focus on improving their own communities through service. As part of GYSD, children from under-served areas throughout the region are actually helping to organize the fun run. 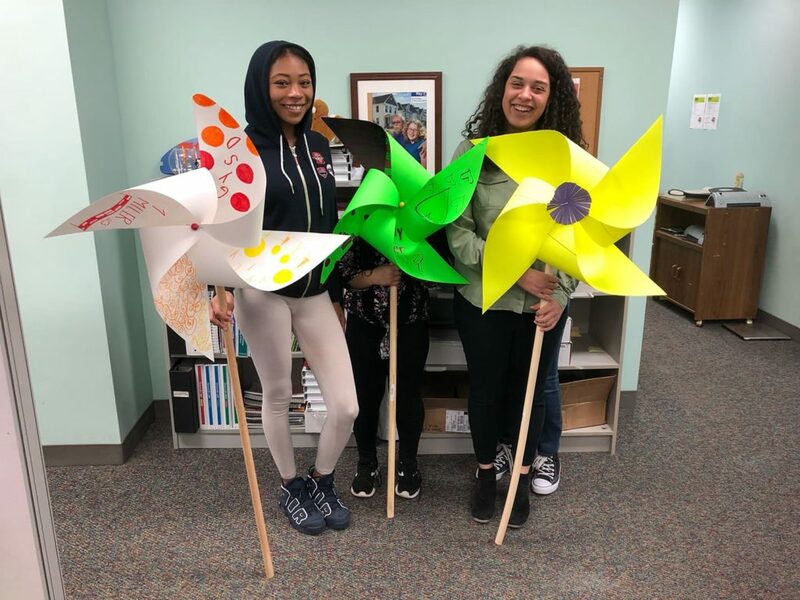 In place of balloons this year the youth at Family Service made four giant pinwheels to be used at the 1 mile turn-around point on Jefferson Street. The Carilion Children’s Family 1 Miler is open to families with kids of all ages, and is a non-competitive event. The run starts right after the Foot Levelers Blue Ridge Marathon at 7:35 a.m. on April 13, so kids can experience the thrill that comes with a big-time race. Families participating in the event will have their own corral start on Jefferson to ensure the safety of all participants. Everyone who participates will receive a race shirt and finisher’s medal. The Foot Levelers Blue Ridge Marathon will also have a wide array of activities in Elmwood Park open to the public with race-related vendors, free live music, food trucks, and more starting at 9 a.m. Proceeds of the 2019 Carilion Children’s Family 1 Miler benefit the Roanoke Outside Foundation and Family Service of Roanoke Valley.